Full Service Florist. Satisfaction Guaranteed. 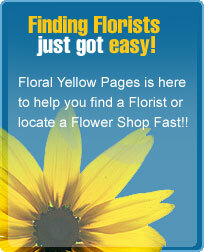 Family owned and operated with over 10 years floral experience. Specializing in unique and custom arrangements. Weddings and funerals are our speciality. We carry a full line of silk flowers, gourmet baskets, snack baskets, and much more. Flowers for all occasions and budgets. Serving all hospitals and funeral homes. Full Service Florist. Satisfaction Guaranteed. Family owned and operated with over 20 years of floral experience. Specializing in unique and custom designs. We carry a full line of willow tree figurines, jellybelly candies, assorted gift baskets, and much more. Flowers for all occasions and budgets. Serving all hospitals and funeral homes.